11 Feb 2019 / 08:09 H.
An aerial view of the gridlock. DEALING with the Chinese New Year balik kampung rush on the North-South Highway is dreadful, but the folks in China have it worse. 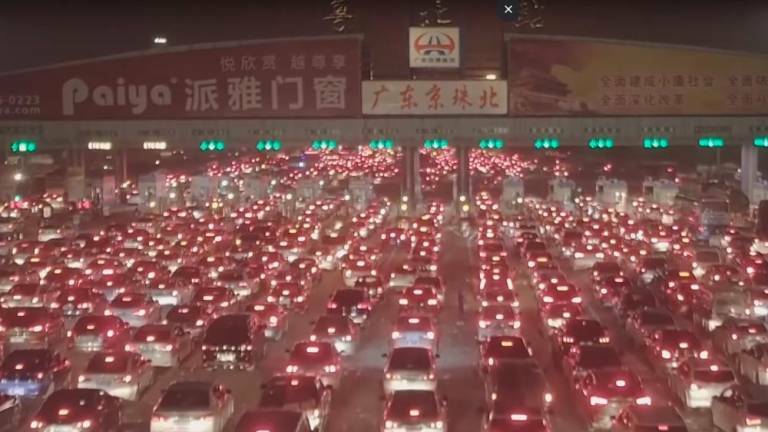 Over the weekend, millions of people in China rushed back home to celebrate Chinese New Year with their loved ones. They have to face a 5km long traffic jam on a Guangdong expressway.